Been Taken In Or Distracted By Silly (And Irrelevant) Assertions About The Legal Status Of The IRS? Don't be. The legislation represented by the foregoing sections of Title 26, USC, most of which goes back well into the 19th century, can be seen here. A lot of folks have been misled about IRS "agency" status by a misunderstanding of events in Diversified Metal Products, Inc. v. T-Bow Company Trust, et al. In that case, the Dept. 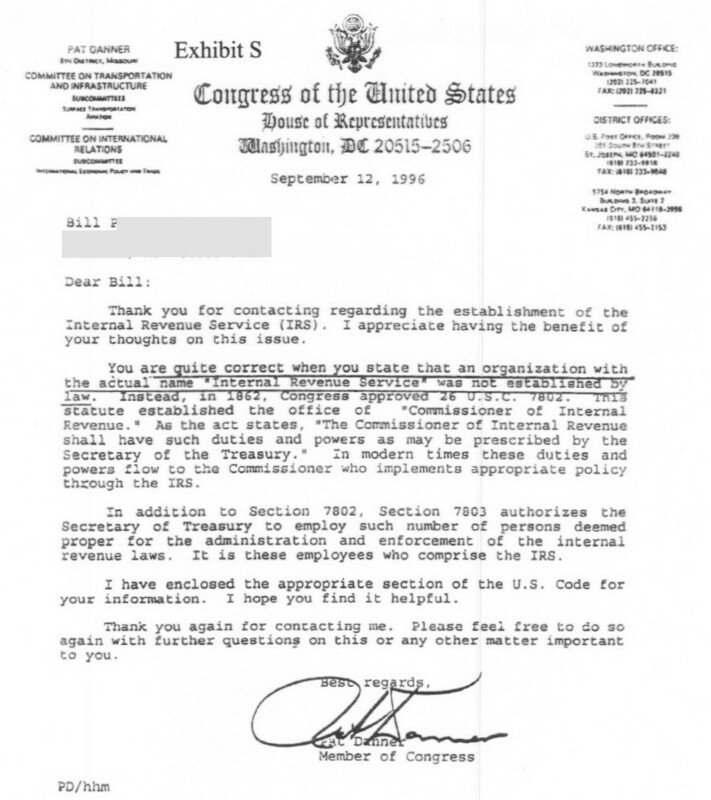 of Justice argued that the IRS is not an "agency of the United States Government". This declaration has been widely bruited about as supporting the absurd notion that the IRS doesn't really exist, or is only a part of the Puerto Rican bureaucracy, or is merely a private outfit based in Baltimore, or similar nonsense. However, all that was actually meant by that declaration was that within the particular context of this case the IRS did not qualify as an "agency". This was due to the nature of the issue being litigated and that of the particular statutory authority being litigated (which contained a common "for purposes of this section" qualifier, along with a custom "agency of the United States means XXXX" definition). 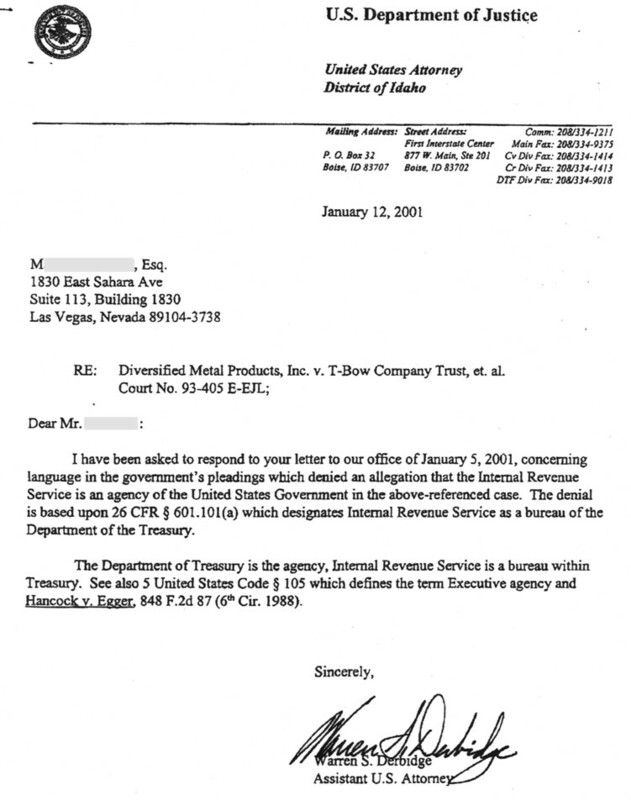 The letter below, which is a response by the Department of Justice to a question by a Nevada attorney about that declaration in Diversified, explains this-- and that in most other statutory contexts the agency DOES qualify as an "agency" and is, in fact, a bureau of the Department of Treasury. That is, an agency is an agency, but if a particular statute has a custom definition of the term "agency" for purposes of its own special and limited context, not everything which generically IS an agency may qualify as meeting that special, limited-application definition for purposes of that statute. Click here for an excellent history of the agency up until the mid 1940s.